Just finished the Leaving Cert and unsure of your CAO choices? Thinking about the change of mind deadline but need more information on your course choices? NUI Galway has opened a dedicated CAO Hotline to provide information and advice to students planning to start University in September. 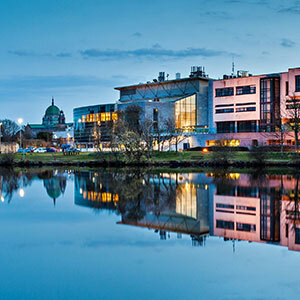 A dedicated Hotline Team will provide detailed information on NUI Galway’s 60 undergraduate degree courses, as well as on other aspects of University life. Students, parents and guardians interested in getting further information on NUI Galway should call (091) 49 44 99, Monday to Friday, to speak to an expert. 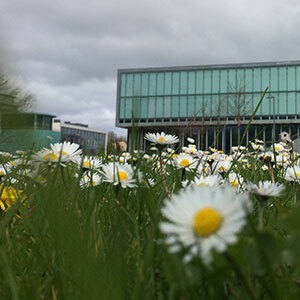 NUI Galway offers a wide range of courses across most subject areas, including Arts, Business, Law, Medicine, Nursing and Healthcare courses, Science, IT and Engineering. 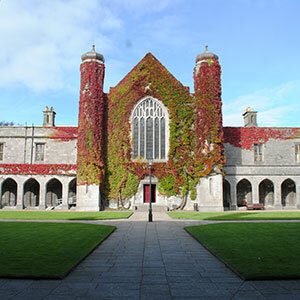 As well as the full suite of traditional broad-based degree programmes, which allow students to keep their options open until the later stages of study, NUI Galway also offers a wide range of specialist degree courses in areas where the University has unique strengths. 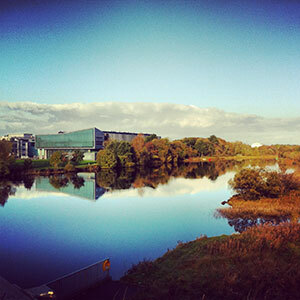 Popular choices at NUI Galway include Biomedical Science, Marine Science, Engineering, IT and Drama and Theatre Studies. 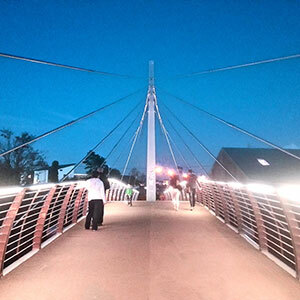 New courses for 2013 include a Journalism degree and a new Physics programme. With such a broad range of choice on offer, it’s not surprising that CAO applicants are looking for advice and information. Commenting on the new CAO Hotline, Director of Marketing and Communications, Caroline Loughnane, said: “Every year, more and more students are availing of the Change of Mind option to revise their course choices. Choosing the right course for you is the most important decision a Leaving Cert student has to make. So it’s important to research all of your options carefully before making that final decision. Our CAO Hotline aims to provide students with all of the practical information they need to make informed decisions about courses at NUI Galway.” Call NUI Galway on (091) 49 44 99 between 10am and 3pm, Monday to Friday, to speak to an expert and get all of your questions answered. 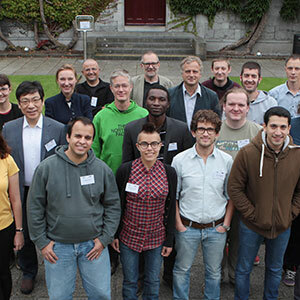 NUI Galway and Advance Science join forces to help save the honey bee Irish company Advance Science and NUI Galway are bringing together beekeepers from around Ireland for a workshop to help tackle a disease threatening bee hives. The free workshop on 27 June, will be the first in a series helping beekeepers identify the Nosema parasite that causes a disease known as Nosemosis. The Nosemosis disease is strongly linked with Colony Collapse Disorder with the result that honey bee colonies are under threat around the world. On average, one in every three hives are dying each year, with up to 90% losses being experienced by some apiaries. Currently, as a result of disease, there are no wild honey bees in Ireland. It is now recognised that this decline in bee colonies is having a significant negative impact on the natural pollination of plant species, including many crops that are sources of global food. Apart from biodiversity decline this also has a potential catastrophic knock-on effect on the global food economy. The University is bringing its expertise in combining microscopy and DNA sequencing to a research collaboration with Advance Science, which develops natural nutritional products to help support bee health. 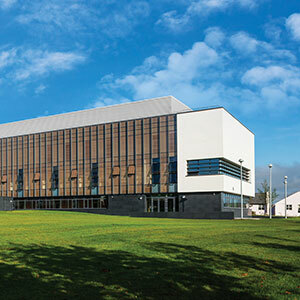 Advance Science is part of a cluster of innovative research and development companies based in the Inagh Valley Trust in Connemara, supported by NUI Galway. In collaboration with NUI Galway and with support from Údarás na Gaeltachta, Advance Science has developed HiveAliveTM, a unique blend of bio-active extracts from both land and marine organisms. HiveAliveTM is designed to help strengthen the honey bee against stress factors such as pesticides, diseases and parasites. As Dara Scott, Managing Director of Advance Science, explains “The honey bee produces nearly 1.5 million tonnes of honey worldwide each year and pollinates up to one third of the plants generating the food we eat. As an avid beekeeper myself, I can see first-hand that the risks to the honey bee colonies are increasing and a natural solution was needed.” Dr Grace McCormack is head of Zoology at NUI Galway. Her research group uses a combination of approaches including microscopy and DNA sequencing to identify, and investigate diversity in, animals and the organisms that cause animal disease. Dr Grace McCormack commented “It will be great to bring together beekeepers from around the country and assist them in being able to identify this new disease.” There are plans being discussed to set up a dedicated Bee Research Centre at NUI Galway to further work on bee diseases, education and bee sustainability. Collaborating with other groups, both north and south of the border, the goal is to allow the Native Irish bee to return to the wild - helping not only the bees but the flowers they pollinate and the biodiversity this brings. An intense ten-day summer school at NUI Galway will help filmakers engage with pressing human rights issues. The Cinema, Human Rights and Advocacy (CHRA) Summer School, from 27 June - 6 July, is funded by Open Society Foundations. The Foundation, backed by investor and philanthropist George Soros, has this year doubled its funding to CHRA projects through its Open Society Media Programme and Youth Initiative. Now in its seventh year, the CHRA Summer School is organised by the NUI Galway’s Huston School of Film & Digital Media and the Irish Centre for Human Rights. Students and talented young filmmakers will attend from Burkina Faso, India, Myanmar, Jordan, Palestine, Hong Kong, Australia, Ethiopia and several European countries. Rod Stoneman is Director of the Huston School of Film & Digital Media: “Film is a key tool in communicating across borders and cultures, and it can be a very powerful tool for highlighting the struggles people face on a daily basis. Because of this, it can play a critical role in highlighting key human rights issues and promoting basic freedom around the world.” Summer school participants will broaden their understanding of film, media and human rights, while strengthening their filmmaking skills. The event also provides an opportunity to develop ideas on film projects with fellow participants and internationally acclaimed experts in of film, television, photography and human rights. In the last six months, CHRA has travelled to Burkina Faso, London and Hong Kong to deliver seminars and workshops in collaboration with local universities, film schools and human rights film festivals. “Thanks to support from Open Society Foundations, the summer school plans to extend its training activities in the future to new regions where human rights are crucial and urgent,” explains Rod Stoneman. “For example, our recent workshops in Hong Kong proved relevant for participants from mainland China, where universities have recently been instructed not to discuss press freedom, human rights or ‘previous mistakes of the Communist Party’.” The Summer School will coincide with Films That Matter , a three-day human rights film event organised in Galway by Amnesty Ireland and One World Centre in order to give participants the chance to assist human rights films which forms a basis for critical discussion.